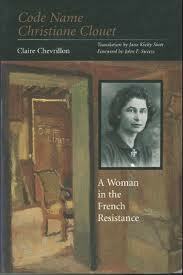 ‘Code Name Christiane Clouet’ is a memoir, written by Claire Chevrillon, a school teacher whose family fell afoul of the Germans in occupied Paris. Translated to English by Jane Kielty Stott and published by Texas A&M Press, this is the story of a woman who, after a brush with the Gestapo and whose Jewish relatives were being hunted, decided to resist. She became a letter box for the resistance, working without knowing anyone’s name nor what any of the exchanges that came her way might mean. Soon ratted out by a cowardly colleague, she was arrested on suspicion and jailed because of a single scrap of paper. Against all odds, she survived interrogation and was released. From then on, she lived under a code name, constantly moving houses, serving as a code writer for critical messages between the French Resistance and the British and Free French in London, helping open the way for the landings in Normandy and the liberation of Paris. For more than forty years, no one in her family knew how she had spent the last two years of the war. She was in her eighties when she wrote her memoirs, revealing for the first time what she had learned of the fates of her family, her fellow resistants, and the women who had shared her cell in the dreaded Le Fresnes prison. Well-written, detailed, intimate, and encouraging, her book is a testament to patriotism that all of us should have. 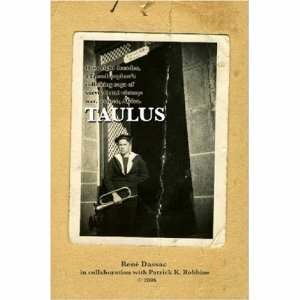 ‘Taulus’ is a completely different kind of memoir of a darkened France. Rene Dassac, an eighteen year old sailor whose French warship helped evacuate British soldiers from Dunkirk, learned after his cruiser docked in England that his country had that day signed an armistice with Germany and that his country’s ally, England, was now its enemy. Given a choice of fighting the Germans or fighting for them, his ship’s officers tucked tails but the crew, Dassac among them, chose to become British. They were re-trained as English seamen, given English names and passports, and served on British ships. For the next four years, Dassac and the destroyer on which he served confronted the German navy and U-boats in every sea from the UK to Africa and the Mediterranean. They were bombed, torpedoed, and led the invasion of Sicily, he serving with his new English name –John Powell. By war’s end, his family concluded he had died in combat, his own history was more British than French, and he was a stranger in his own land. And that is just the beginning. Assisted in the telling by Patrick Robbins, Dassac’s tale is a fantastic story of what lies beyond when a young man choosed the other fork in the road.